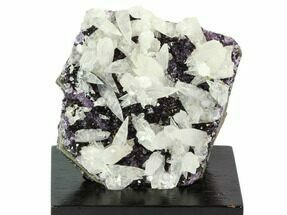 This is a beautiful, amethyst crystal cluster from Las Vigas, Mexico. 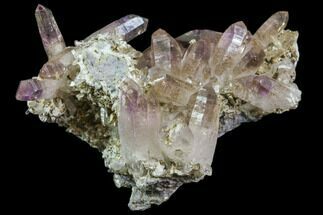 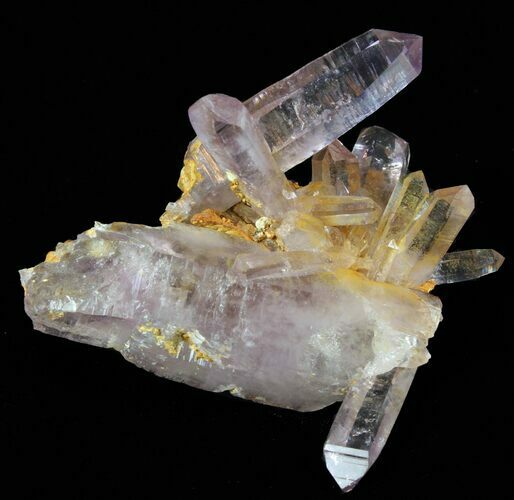 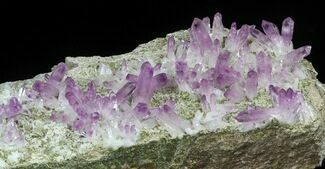 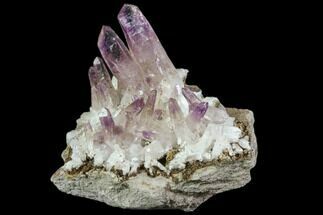 There are beautiful, light purple crystals protruding from multiple angles, most of which has excellent terminations. 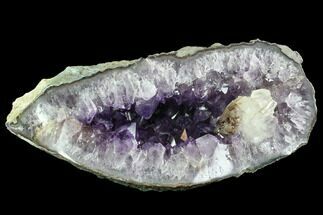 A gorgeous specimen. 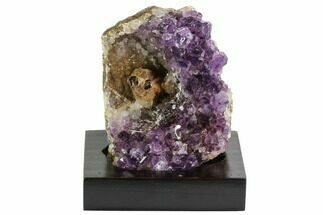 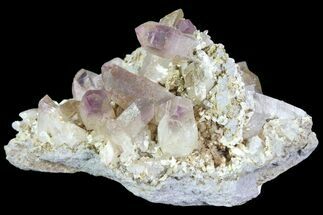 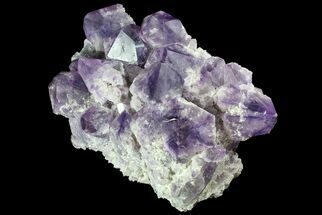 Amethyst is a purple variety of quartz (SiO2) which gets its violet color from irradiation, iron impurities, and the presence of trace elements, which result in complex crystal lattice substitutions. 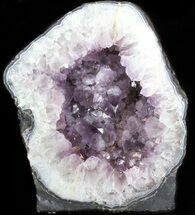 4" at widest, largest point 2.3"